Have you ever been at the receiving end of a retail service and thought to yourself, “I could do this better?” That’s exactly the story behind TheDiamondStore.co.uk, now one of UK’s most popular online jewellers. An engagement ring is usually the first really expensive item of jewellery a man will buy. Yet selecting a diamond is incredibly technical. “You want to buy the best with your money”, Ingram explains, “but suddenly you have too much information. And if you go on the internet, it’s overload.” It’s not just the Four Cs – cut, colour, clarity and carat. Suddenly there are refractions, diamond certificates, girdles, mounts and hundreds of ring styles to contend with. Frustrated, Ingram finally turned to an old friend, a long-established figure in the jewellery industry. That’s when he saw the light. Coming away with expert knowledge, delivered to him in a straightforward and friendly way, he didn’t just go on to buy the perfect ring for his now wife. He also came up with an inspired business idea. What if he could sell engagement rings? At prices accessible to everyone, with the same reassuring advice he’d gotten from his friend? The outcome was TheDiamondStore.co.uk and its popularity has surpassed Ingram’s wildest dreams. The company is now eight years old and has twice won the prestigious UK Jewellery Awards “E-tailer of the Year” Award in 2013 and 2014. It has well over 50,000 customers and counting. 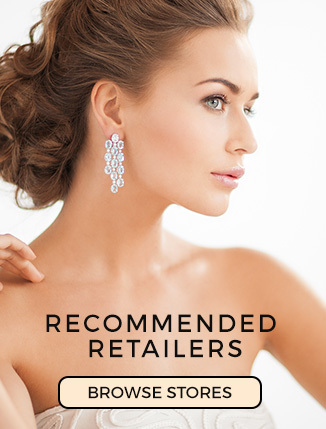 What’s more, TheDiamondStore.co.uk is so confident in the quality of its products and services, it has chosen to stick its head above the parapet by joining Feefo. This is an independent customer feedback service where people review products and services publicly and the results cannot be manipulated by the companies. This year TheDiamondStore.co.uk has consistently scored a 97-100% customer satisfaction rate. “It’s down to good, old fashioned customer service,” Ingram muses. “We just want our customers to be happy.” When TheDiamondStore.co.uk won their two BJA awards, the judges all noted this. They praised the online jeweller’s easy-to-use, secure website, modern web design, luxury packaging, 24-hour delivery and its vast range of high quality jewellery available at excellent prices. The website also has many free extras like the Engagement Ring Learning Centre and 101 Proposal Ideas. Most of all, the judges loved The Diamond Store’s genius stroke: hundreds of high definition videos that allow customers to view jewellery almost as if they were shopping in a real store. Previous ArticleHeadband Jewellery Is back.